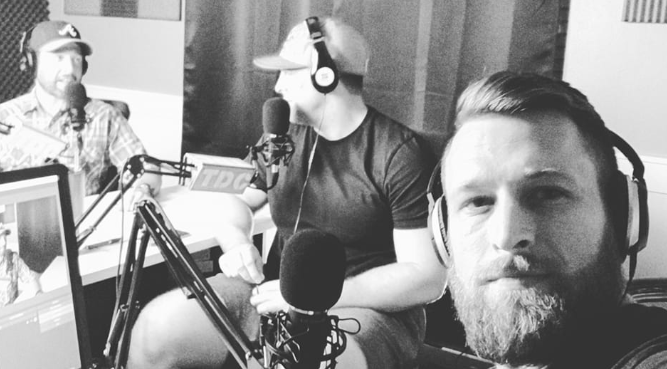 Episode 70 – Our buddy Justin fills in while Geoff is out of town. We talk Tiger, Nipsey, the NBA, and Cheetos. Thanks, and interact with us below! Episode 68 – The Dude Chain waxes nostalgic with Saturday mornings as kids. Enjoy! Episode 66 – Michael Jackson, Trump, & the craziness of the NFL free agency. Enjoy! Episode 65 – Joe Exotic, Jussie Smollett, R Kelly, and a whole bunch of other people are discussed. Plus we give our 2 cents on mental illness. Enjoy! Share us with someone you know, and like and subscribe! Episode 63 – Twitter beef, burner accounts & The Melting Pot. Enjoy! Episode 62 – We discuss toxic masculinity, what went wrong the last episode, & Josh talks about the worst three weeks of his life. We appreciate everyone of you! Thanks! Episode 60 – the objectivity didn’t last long… Enjoy! Episode 59 – Geoff gets a gym membership, the American dream, how to stick to your resolutions & proper way to fold the toilet paper! Tell your friends and family about us! Episode 58 – Chris K. comes on with a list of semi-controversial statements, and being the objective podcast we are, we brought him on to defend his inane comments. Enjoy! Come follow us on social media. Share with your friends.